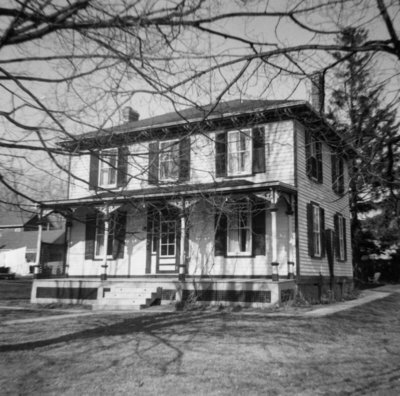 A black and white photograph of 417 Green Street. This house was built in 1869 for Whitby jeweler James Johnston. 417 Green Street, April 17, 1966, Brian Winter. Whitby Archives 17-186-001.